She was nicknamed "Moses" for liberating slaves through the Underground Railroad. Harriet Tubman is one of the most renowned figures in American history. She was a famous abolitionist, known for conducting the Underground Railroad and leading slaves to freedom. She was also a nurse and a spy during the Civil War. But did you know Harriet Tubman's history began in Maryland? Along with Frederick Douglass (read our coverage on him here), Harriet Tubman's activism paved the way for modern civil rights reform, and her bravery has been immortalized in countless tributes across the country. "I was the conductor of the Underground Railroad for eight years, and I can say what most conductors can't say -- I never ran my train off the track and I never lost a passenger." Harriet Tubman was born on Maryland's Eastern Shore in Dorchester County, between 1822 and 1825. Her name by birth was Araminta Harriet Ross, though it is believed she changed her name out of tribute to her mother Harriet "Rit" Green. 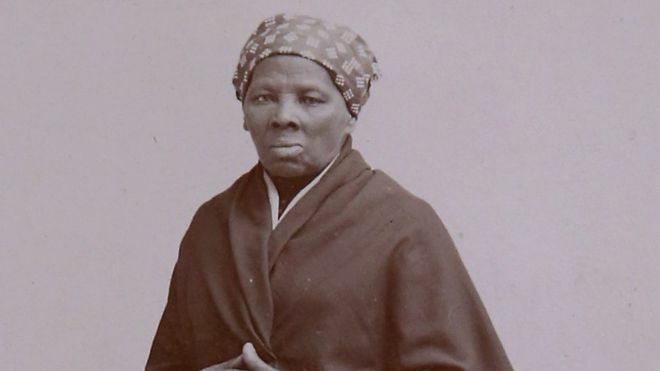 Enslaved at birth, Tubman's childhood was harsh and tumultuous. Her family of nine siblings was fractured by slavery, and she regularly endured violence by slaveholders. A particularly violent incident involved an angry slaveholder throwing a two-pound weight and hitting Tubman in the head. The blow caused life-long health issues including headaches and seizures, as well as strange visions. As a devout Christian, she would interpret them as divine messages from God. In 1849, Tubman escaped slavery in Maryland and made the 90-mile journey to Philadelphia for her freedom. From here she became an unofficial conductor of the Underground Railroad, a system of secret routes and places for escaped slaves to maintain their safety and freedom. She sang "Go Down Moses" and "Bound For the Promised Land" to relay warnings to slaves, changing a song's tempo to reflect whether or not they were in danger. 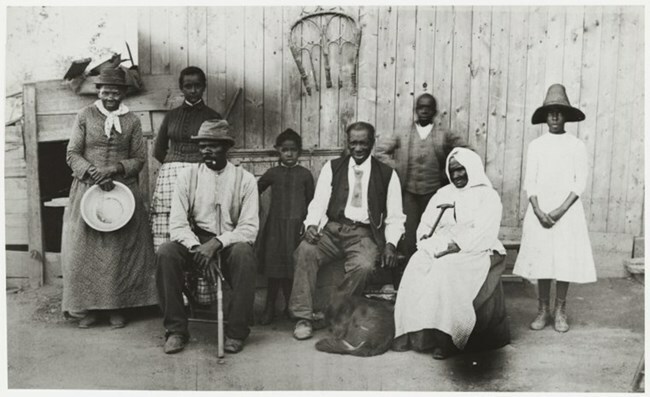 Over the course of a decade, Tubman made 13 trips to Maryland and liberated 70 slaves, which among that number included family members and friends. She made her final trip to Maryland in 1860. Reflecting at a suffragette convention in 1896, she noted: "I was the conductor of the Underground Railroad for eight years, and I can say what most conductors can't say -- I never ran my train off the track and I never lost a passenger." Her efforts garnered her the nickname "Moses." In 1861, she and other abolitionists became involved in the Civil War, where she served at the Port Royal camps in South Carolina. Fighting for the Union cause, her various roles included cook, nurse, and at one point an armed spy. She was also the first woman during the Civil War to lead an armed raid, freeing 750 slaves on a set of plantations lining the Combahee River in South Carolina. After the war, she moved to Auburn, New York. Despite her achievements, she lived in near poverty for the remainder of her life. She continued her humanitarian efforts into old age, fighting for the rights of African Americans, women, and the disabled. She died on March 10, 1913, following a bout of pneumonia. She was buried at Fort Hill Cemetery in Auburn, New York. Tubman's legacy still remains in her native state of Maryland. 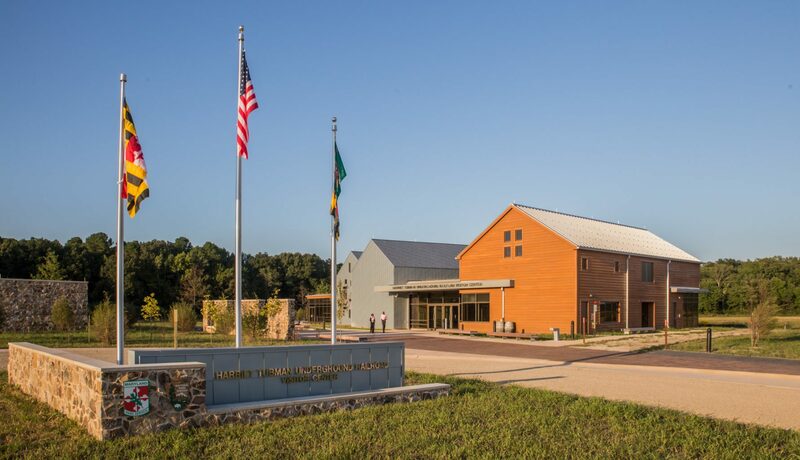 In March 2017, the Harriet Tubman Underground Railroad Visitor Center opened in Dorchester County as a collaboration between the National Park Service and Maryland Park Service. It features a museum, movie theater, gift shop, and outdoor nature trails. It's also included in the Tubman Byway, a 125-mile self-guided tour through Maryland covering key sites related to Tubman's history. You can view more information here. Harriet Tubman is one of the most celebrated figures of the 20th century. Who are other Marylanders we should feature in this column? Give us your picks in the comments below. Want to know more about famous Marylanders? Check out our brief biography of Edgar Allan Poe!